What image pops in your head when you hear “Christian education”? Is it children seated in Sunday school classes or Vacation Bible school skits and games? What happens when we become adults – does our Christian education end? Christian education is a sacred responsibility for each of us, a lifelong process of learning, believing, growing, and serving. It is a never-ending process where we learn to follow the example of Jesus, then reveal that love to others through our actions. • 11 adult Sunday school classes with students from all ages and stages of life exploring a broad range of topics from classic Bible lessons to life application studies. • 3 Disciple I Fast Track classes begin soon. If you are seeking an organized way to read and understand the Bible along with a group of committed believers, this class is for you. • Our media center has a number of excellent books. Claudia Pass, our librarian, finds and maintains a great selection of books ranging from Christian fiction to Bible studies to self-help and many other relevant topics. • Both the United Methodist Women and United Methodist Men have opportunities to fellowship and study together. 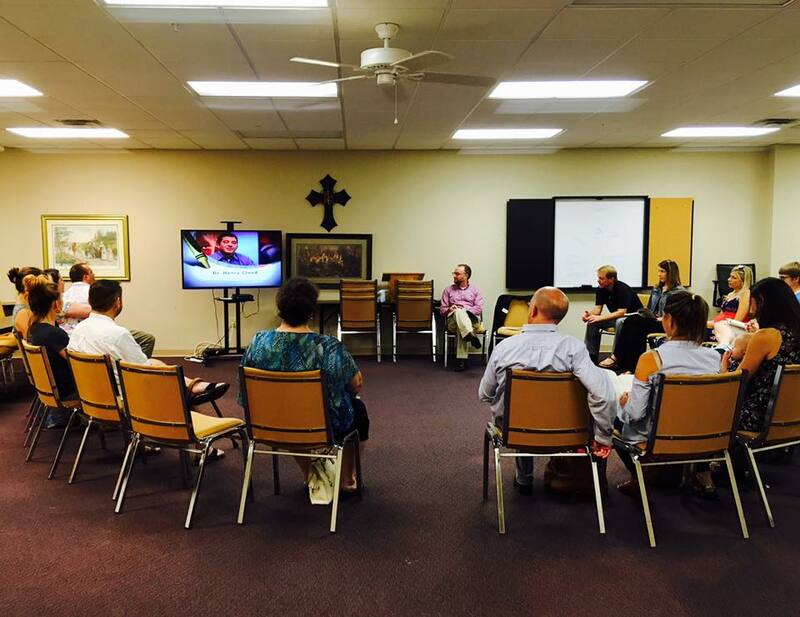 Sunday school and other settings for Christian formation is essential for all adults! If you are interested in finding a class, study or group that fits your needs and schedule, email us at connect@johnscreekumc.org.